URI-CIDE® is a liquid, bio-enzymatic concentrate that is designed for eliminating the most problematic pet urine smells and other odors of the most offensive kind. The synergistic blend of safe, naturally occurring bacteria (microbes) in URI-CIDE® results in a unique, high performance product that directly targets the proteins that are found in pet waste. 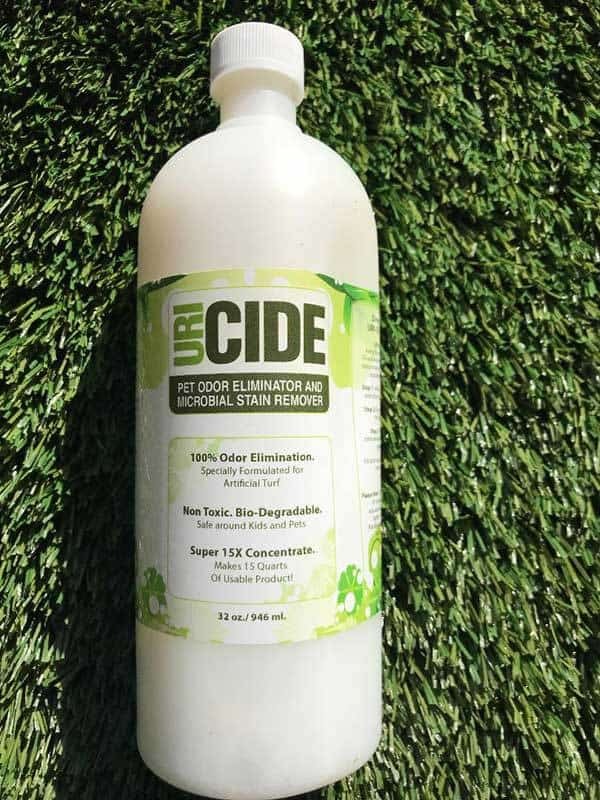 URI-CIDE® is 100% natural, it can safely be used on all surfaces, and is the perfect product for removing urine smells and other pet odors from artificial turf. URI-CIDE® is also great for removing odors from cat litter boxes, smelly waste bins, portable RV and boat toilets, rugs, carpet and furniture. Products, 8 Oct. 2015, uricide.com/eliminate_pet_urine_odors/.